One day you wake up and you’re 55. You feel tired, your breakfast sits heavy around your waist, and you reflect on how you got here — overweight, out of shape, drained of energy. Life happened — kids, job, living — you were so busy for so long that eating was a chore of convenience, done on the go, but your metabolism kept up for a few decades. 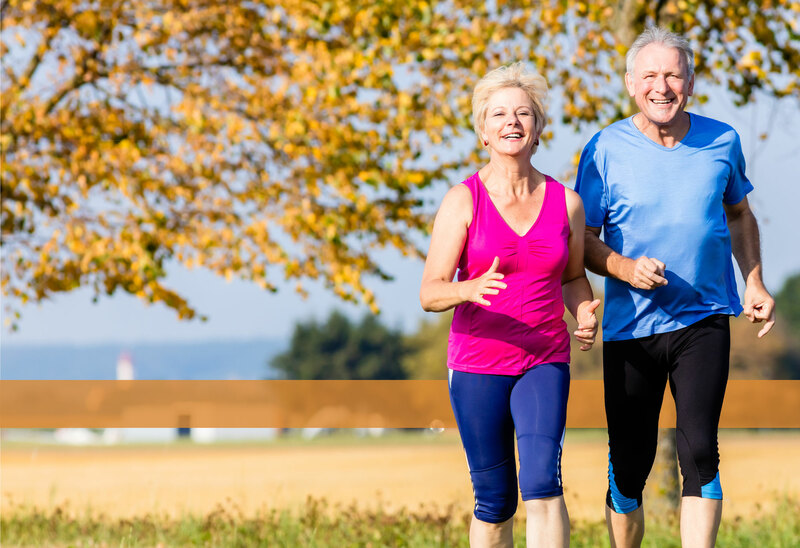 Exercise was something you engaged in when there was time, and now, here you are, ready to enjoy the golden years, but instead, you’re carrying around the baggage of your youth. They said it would happen, it does to everyone. “It’s just a part of getting older. Welcome to the phenomenon of aging.” You wish you could shrug it off and submit to being old but you don’t feel like it’s time to be old yet! How Old Would You Be, If You Didn’t Know How Old You Really Are? If you can answer yes to any of these questions, you are not alone! Do your aches and pains keep you from getting the most out of life? Do you feel like you are going downhill rather than uphill? Are you frustrated and tired and just not ready to be THAT old yet? Are you skeptical of any diet/ exercise plan for any of these reasons? Your aches and pains make it difficult to exercise? You’ve had surgery and haven’t fully recovered yet? You don’t want to be relegated to eating vegetables and tofu? You are intimidated by going to the gym among the 20-something “beefcakes? HAVE YOU HEARD ENOUGH? – DO YOU WANT TO GET STARTED ON THE ROAD TO A HAPPIER RETIREMENT? I Get It, I Was There, At 75. I am Donald Thomsen, and when I was 75, I had all of those problems, and I believed that it was just a part of aging that I had to deal with. Then something in me changed, I had a stroke. I began questioning everything “they” were telling me and decided to take action. I formulated my plan, worked my plan, and within 90 days, I felt better than I did in my 50s. At 79 years old, I no longer have the chronic pain, high blood pressure, weakness, and shortness of breath. I am strong and confident and have the positive outlook I need to make my 80s the best decade of my life. I have the energy I need to enjoy my retirement, and I don’t see any reason that anyone else can’t find the same benefits I did! I am not a 30-something gym trainer who doesn’t understand the issues that comes along with aging; I have on-the-job training in the science of aging. I don’t subscribe to a life of strict limitations; after all, we have to enjoy what time we have left! I live in a 55+ community in San Diego and have been married to my wife for 57 years. I have witnessed as our friends and neighbors have surrendered to physical and mental inactivity and declined into a downward spiral — social isolation, physical decline, over-medication. I wasn’t ready for that. I decided it doesn’t have to be that way and I was going to make the best of what time I had left. I would leave this world happy and as healthy as I have the power to control! I conducted my research and began my quest toward a healthier, more active lifestyle at 75 years old. With my fitness and wellness program, I made a transformation in only 90 days! I felt decades younger and was able to stop taking some of my medications (don’t worry, I okayed it with my doctor, who was stunned to find that I no longer required them!). I do not claim to be a fitness guru, nor do I have decades of experience or an Olympic medal under my belt. What I am is an aged man who has discovered a way to not submit to a slow, painful death, and wants to share my experiences and plan with anyone who can benefit from it the way that I did. I cannot boast that I have all the answers. I can simply offer my solution — the three-step fitness wellness 90-day program. HAVE YOU HEARD ENOUGH? – DO YOU WANT TO GET STARTED ON YOUR WAY TO A BETTER LIFESTYLE? The three-step program takes 90 days to completely transform your life! If you commit your full attention for just a few minutes (yes, minutes, not hours!) a day, six days a week, for 12 weeks, in return you will get my personal attention and assistance throughout the entire program! The program includes three phases, that are equally as important to your transformation and success. The first phase is ATTITUDE phase A good attitude is critical to being successful on any journey. In attitude phase, we will overcome mental barriers and put any of your myths and fears to rest. The next phase is the FITNESS phase. With your input, and working around your limitations, I will guide you through a full 12 weeks or workouts that you can do in the comfort of your own home in just minutes a day. The exercise routine is not aimed at chiseling you into a muscle-bound Adonis or slimming down to be a bikini model. The fitness is aimed at increasing functional strength and tone while decreasing pain. Movement and exercise helps to lubricate joints and build bone density, which, in turn, helps decrease pain and the chances of falls and breaks. Strengthening muscles above and below joints helps to support the joints, making movement more comfortable. Exercise helps get your blood flowing, which can help decrease blood pressure and work your cardiovascular system to make breathing easier. My exercise plan does not rely on high impact, high energy movements, bulky machines, yoga, or hours of cardio. My safe, low-impact, routines are simple and effective. The third, and final phase is the WELLNESS phase. In this phase, we focus on nutrition and how you can use all-natural dietary supplements and a healthy diet to aid you in your journey, in addition to weight loss. None of the supplements that I recommend will interfere with prescription medications. However, if you want to confirm it, we recommend speaking with your physician. I Strongly Suggest That You Share Your Intention To Participate In The 3 Step Fitness/Wellness Program With Your Doctor For His/Her Approval. Now is your chance to get started on a journey to a healthier, more active life! You have nothing to lose, except the extra weight you are carrying around! I am finally in shape again! I look and feel great! People are complimenting me and asking how I did it. I have gotten off my medications! I have balance and agility. I have strength and energy.